Used maple sugaring equipment for sale. All our used equipment is checked by the CDL service department. Evaporators, concentrators, vacuum pumps, extractors/moisture traps, maple syrup pans, flue pans! For all information concerning used equipment, please refer to your CDL sales representatives! Check out our used equipment section regularly to find out what’s new! Used evaporators for sale by CDL maple sugaring equipment. Contact us for our complete inventory of used maple equipment. Used RO (reverses osmosis) for sale by CDL maple sugaring equipment. Contact us for our complete inventory of used maple equipment. Used vacuum pumps for sale by CDL maple sugaring equipment. Contact us for our complete inventory of used maple equipment. Used extractors and moisture traps for sale by CDL maple sugaring equipment. Contact us for our complete inventory of used maple equipment. 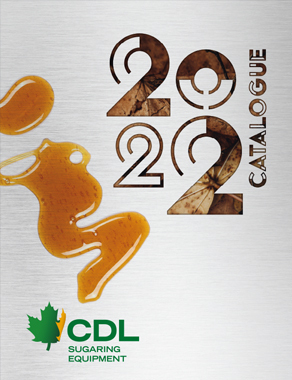 Used syrup pans for sale by CDL maple sugaring equipment. Contact us for our complete inventory of used maple equipment. Used flue pans for sale by CDL maple sugaring equipment. Contact us for our complete inventory of used maple equipment. Used equipment for sale by CDL maple sugaring equipment. Contact us for our complete inventory of used maple equipment.